"Betty's Hotpot" is famous all over the world. But perhaps you have never heard of it? 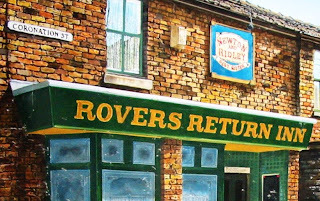 It all depends on whether you are a fan of Britain's favourite TV soap opera Coronation Street. Betty's Hotpot has been on the menu at the "Rover's Return" for donkey's years. Hotpot is a Lancashire favourite that is also enjoyed by people from all over Britain- and probably many other countries too. It is very easy to prepare and tastes absolutely delicious. So what is the big secret behind "Betty's Hotpot"? Is it a secret ingredient? No. Is it a hitherto unrevealed preparation or cooking method? Again no. I am sorry to disappoint you, but the big secret behind Betty's Hotpot is very simply - make it using traditional ingredients and traditional cooking methods. Alternate layers of meat and onion mix with thinly sliced potato in an ovenproof dish. The top layer should be potato. One little problem. You cannot get neck of lamb anywhere in this country. Most butchers I have mentioned this to look at me like they have never heard of it. So where do I get it? Thanks. Thanks for the comment Antony. Of course you are quite right. Neck of lamb is a tough cut that is only suitable for dishes like hotpot in which a long cooking time is involved. Other cuts can be substituted without any substantial change in flavour. What cuts do you suggest? I have never made this recipe for this exact reason.